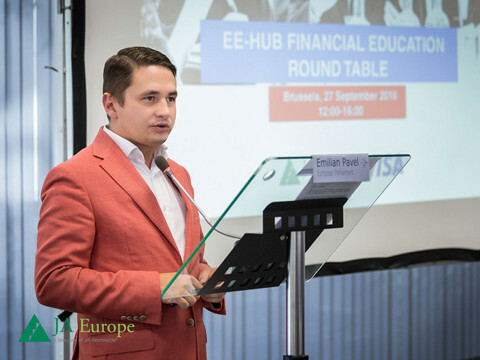 I was deeply honored to deliver the keynote speech at the EU-HUB’s Financial Education Roundtable in Brussels this week. 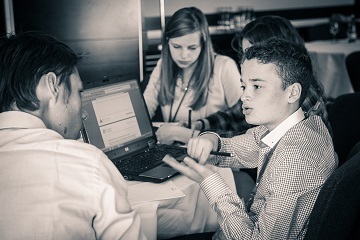 Congratulations Junior Achievement Europe and thank you for inviting me! Your organization is doing a splendid job in an area very close to my heart and you have all my support! For those interested, please read my remarks below. So, what is financial education? In addition to its effect on confidence in European financial markets, the 2008 economic downturn also shook the already weak confidence Europe had in entrepreneurship. In 2010, only 28.1 % of Europeans thought it was feasible to start a business within the next 5 years (a figure which dropped from 31.4% in 2007). However, in 2014, 99% of European private enterprises were micro, small and medium-sized businesses (MSMEs). In the past five years, they have created around 85% of new jobs and provided two-thirds of the total private sector employment in the EU.